The 10th season of ABC’s The Bachelorette is in full swing, but it’s been revealed that one of the handsome hunks seeking the heart of beautiful Andi Dorfman is no stranger to a TV camera. JJ O’Brien, known to Bachelorette viewers by the nickname “Pantsapreneur,” was a winning contestant on The Price Is Right in 2011, according to a YouTube video of his appearance. 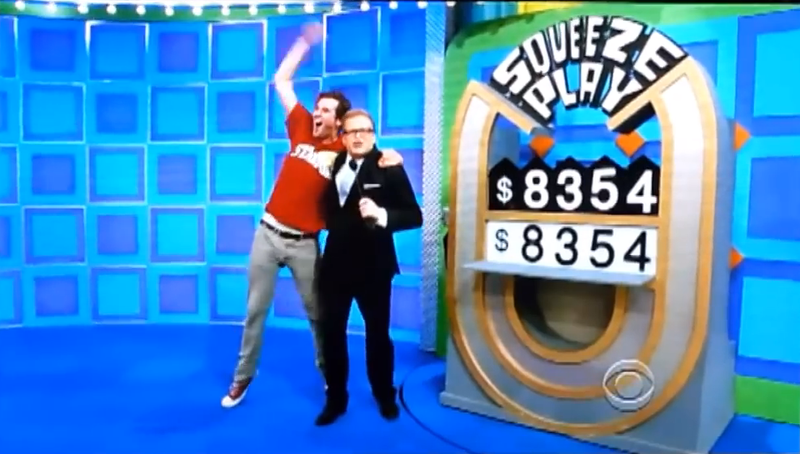 Sporting a shirt bearing the name of his Alma mater, the Stanford grad won his way up on stage by giving host Drew Carey the winning bid for a flat-screen TV. JJ then won his pricing game, Squeeze Play, by correctly guessing which number didn’t belong in the price of a bedroom set. As may be expected by viewers of the long-running game show, there’s no shortage of victorious leaps and bounds by O’Brien, now 30, as he celebrates winning the $8,300 furniture group. 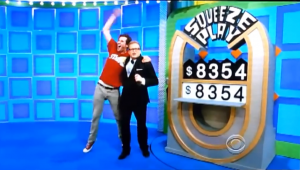 It’s a bit shaky (the video was recorded by one of the lucky guy’s friends at his viewing party), but you can check out the video of JJ’s Price Is Right adventure above this article. If you’re interested to see how our Squeeze Player fares in his bid for Andi’s love, The Bachelorette airs Mondays at 8pm EST on ABC.